The 27478 is a DIN-rail mountable terminal connector that can be used between sensors (or other devices) and a data logger. 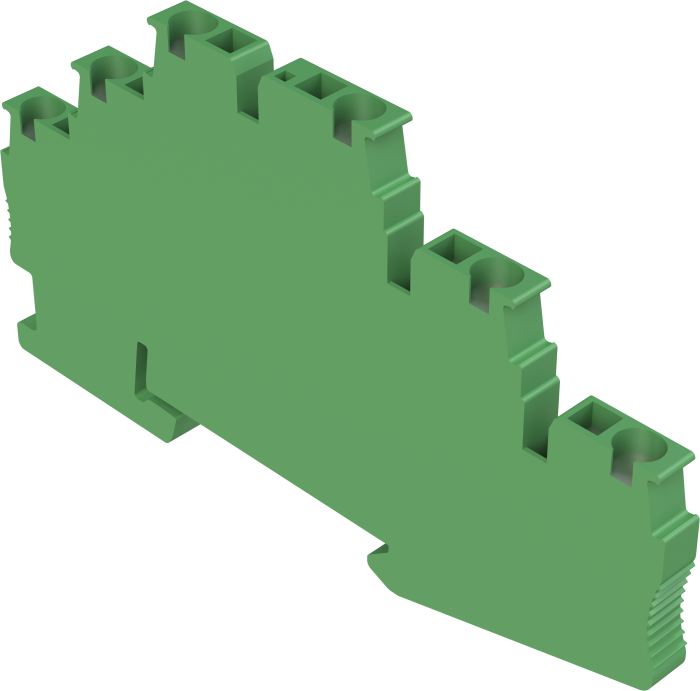 The 27478 is a six-wire, 5.2-mm spring-loaded three-tier connector that is grounded to the DIN-rail mounting bracket it is attached to. An 8125 flat-bladed screwdriver is used to open the spring-cages for wire entry.